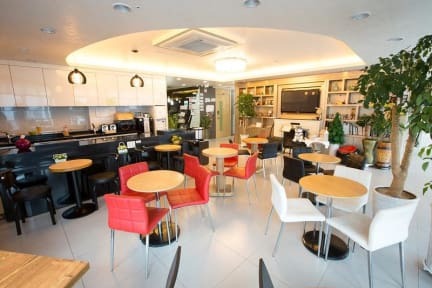 With Guesthouse is located near Haeundae beach, which is 5-minute walking distance away. For the sea lovers, With Guesthouse is a good place to stay as Busan Aquarium is in front of it. Its location makes guests easy access to the must-see destinations that the lively city has to offer. It takes 15 minutes from Busan subway station to reach the guesthouse on foot. 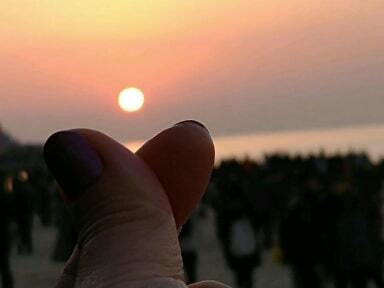 With Guesthouse provides beautiful beach scenery, where travellers can appreciate sunrise and fabulous night view. There are 4 types kinds of guestrooms available. The beds in the dormitory feature curtains in order to protect individual privacy. The staff here promise to offer magnificent service and are willing to help you when there is needed. 1. Check in from 3pm and check out until 11am. If you are unavailable to check in before 10pm, please inform the guesthouse in advance. 2. Cash and credit cards are accepted upon guests' arrival.